Last month I wrote a blog post about my newfound appreciation for finding ways to slow down, so I could focus more on the important things, and clear out some of that life clutter that creates unnecessary stress. I made myself go back and re-read it for a reminder to prioritize and focus during these crazy last few days before the holidays. It made me look at my to-do-list and laugh at the stuff that was stressing me out — one of them was holiday baking (hello, first-world problems!). 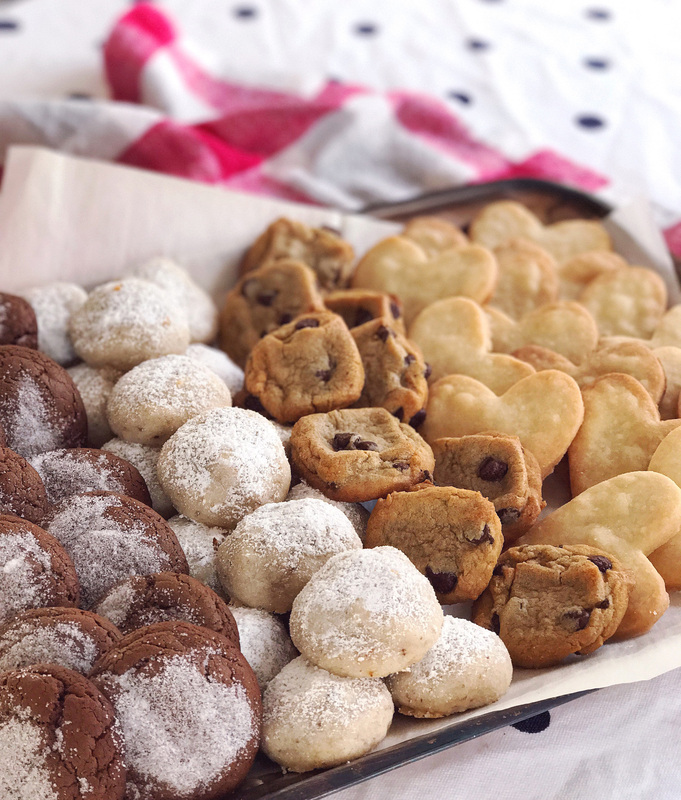 It seems silly, but it was really important to me that I make these cookie recipes that are traditions in my family since I’m not going to be heading home to see my family in New York this year. Also I’m 9 months pregnant so not having cookies easily accessible at all times actually is quite stressful. 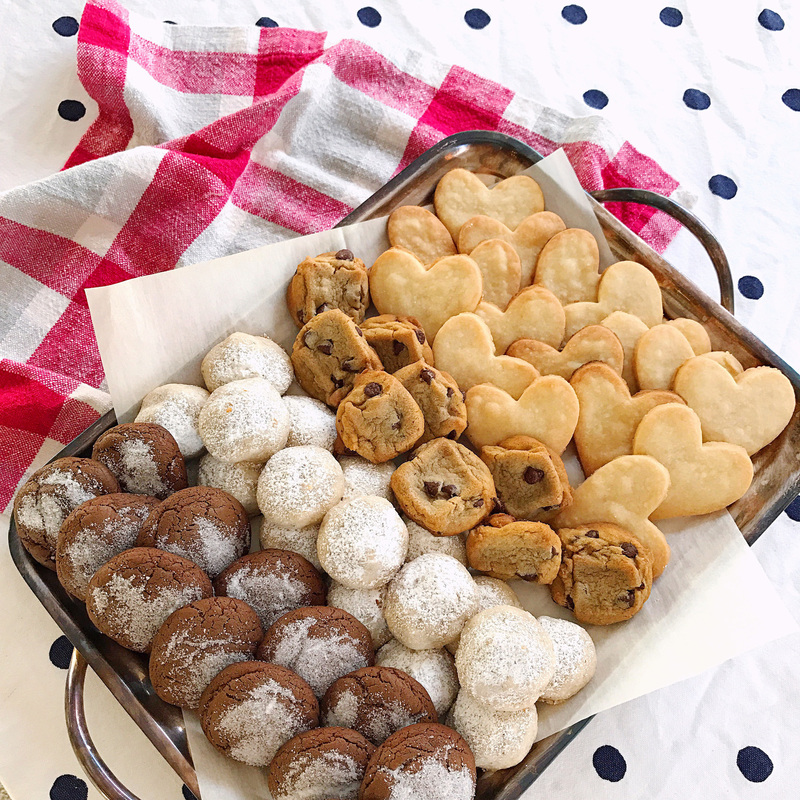 I realized that it wasn’t really the cookies that were stressing me out, it was the errands I had to run to start the project — the grocery store the week before Christmas actually is a stressful experience! So I gave myself a break and tried Peapod, a grocery delivery service, for the first time ever. Skipping the task of battling mile-long check out lines of holiday-grocery shoppers was a major treat. It helped me avoid the holiday craze at the store, and check off a big to-do on my project list so I could focus on more important things, like making cookies! That extra time translated into more time in the kitchen enjoying this holiday tradition. It also really helped me plan out the ingredients I needed in advance, curbing any wild pregnancy impulse purchases. It was so easy that I just placed another order today after meal-planning all of the holiday-weekend dishes I’ll be making when family visits — and everything will arrive on my doorstep on Christmas Eve — it’s like having Santa deliver my groceries! Onto the cookie details! 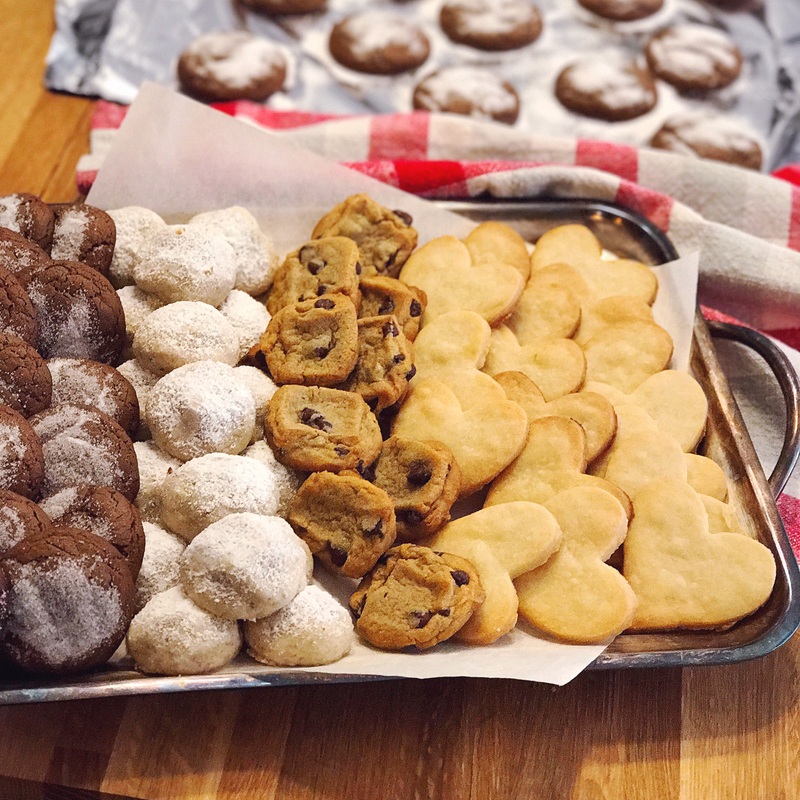 I made four kinds of cookies for my holiday baking ritual. 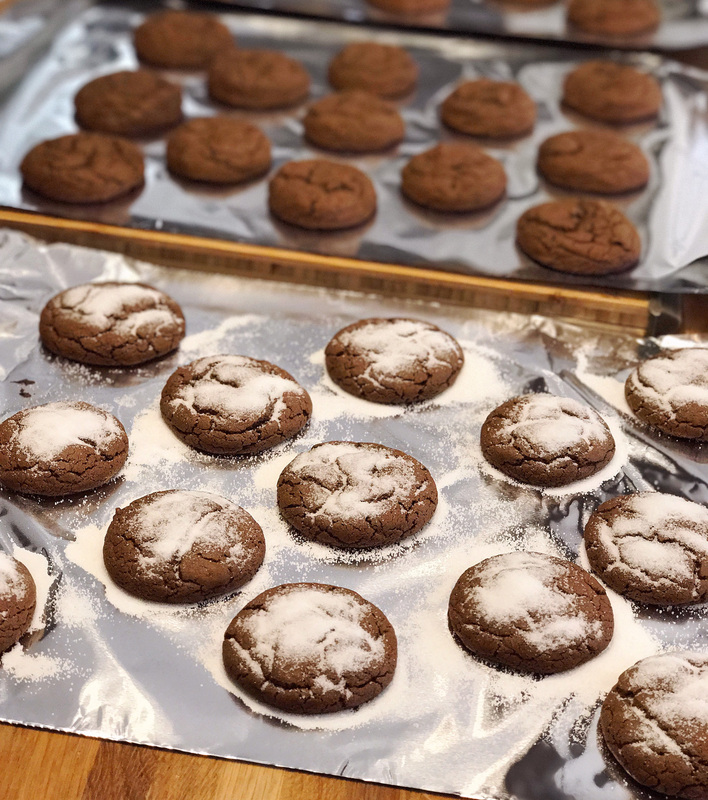 The first was a family recipe for Christmas Crackles, they’re gooey chocolate cookies dusted in sugar that my Grandma always makes at the holidays. It was my first time making them myself and the recipe boggled my mind, it flipped a lot of my baking knowledge upside down (like, baking them on foil instead of parchment paper). They’re tasty — but I’m convinced that no one will ever make them like my Grandma! I borrowed another one of her holiday recipes for Butter Ball cookies, some people call them snow balls or Mexican wedding cookies, but I call them buttery, nutty, sugar-deliciousness. I could eat a thousand of these! 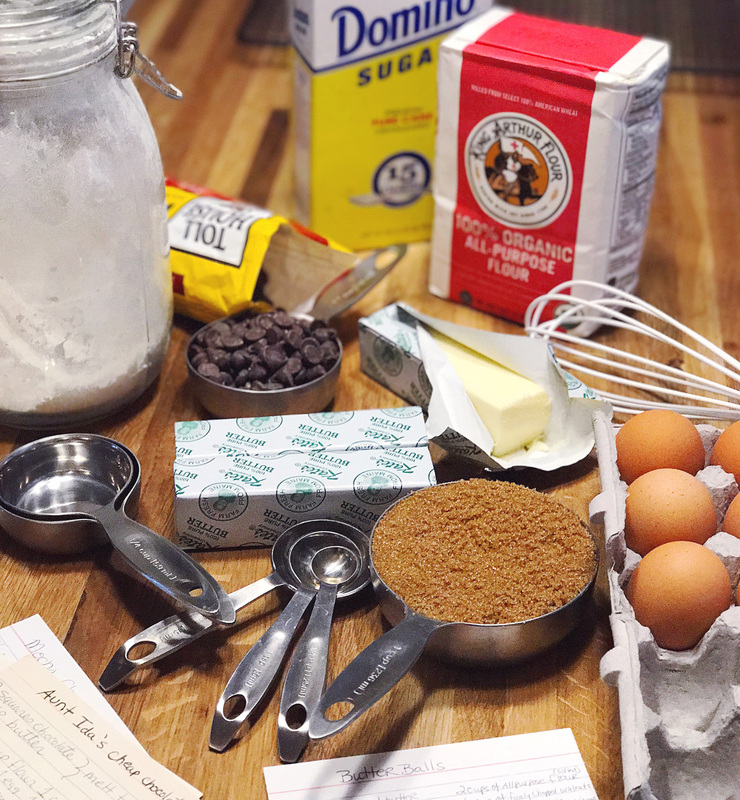 I have no shame admitting that I am full on addicted to classic Tollhouse chocolate chip cookies right now, and baked off their recipe for some bite-sized chocolate-chip filled treats. My last cookie recipe I tried was from a local bakery cookbook for shortbread cookies and had just three ingredients: flour, sugar, butter. Sounds like a winning combination, right? It is! I’ve been snacking on these every time I walk past the kitchen. So the cookies are baked, my groceries are ordered, and I even have all of my presents wrapped! I’m feeling ready for a long-weekend of family, lounging by the fireplace, holiday movies and lots and lots of eating! I plan for these holiday cookies to make up about 75% of my Christmas weekend diet. Holiday Tablescape Ideas. Last-Minute New Year’s Eve Party Supplies.